For some strange reason, I am (or was, they changed it now) not allowed to download the bank statements for my saving account. Because of some super-secret stuff, I can’t reveal here, I did need them. So, my question is, “can Tableau re-create my bank statements and fool the government? **Evil laugh**”. So, what does it look like on the website of my bank? Pretty straight forward, right? 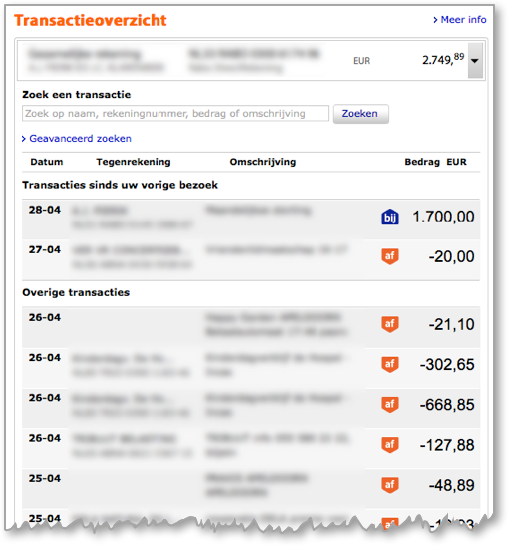 In the top you can select your account, you see the current balance, and the rest of the page shows an overview of all the transactions. First step, data! Fortunately, I can download all the transactions in a comma separated file. The website even keeps track on which transactions have been downloaded already and which not. This means I only get the delta…perfect. This dataset, however, does not contain headers, so I need to assign the right labels to the right columns. But once that is done, I’m good to go. Let’s connect Tableau to the file. 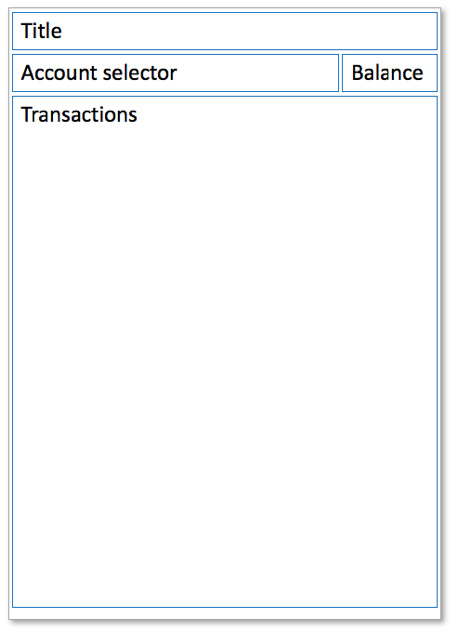 First, I create the transactions overview. Again, this is pretty straight forward, as the labels are already correct. Just drag in, date, counter account, description, and amount. The result looks like this. Notice that the amount is always positive. It is necessary to create a calculation based on Debit/Credit to multiply the amount by -1 when it’s “Debit” to make sure is all adds up correctly. Also, I noticed the date is not repeated every transaction. To repeat the date, just create an index() calculation, add it as the first column, and hide it. 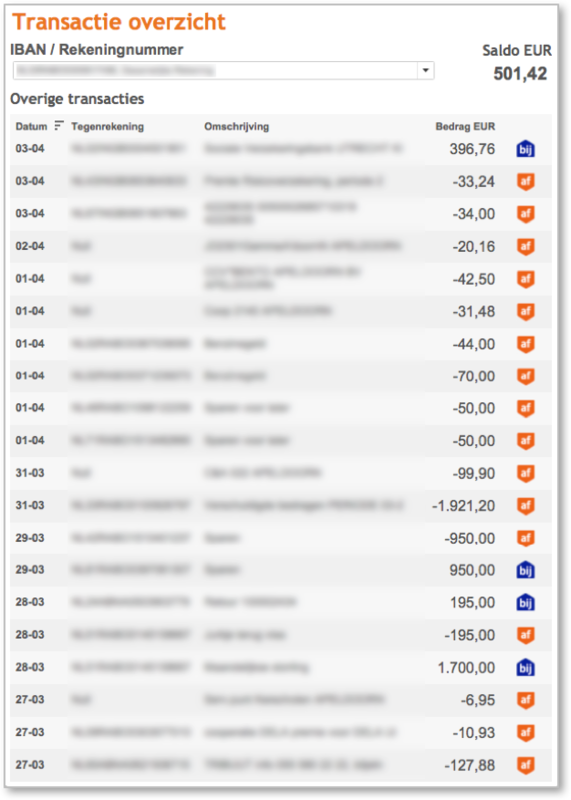 You can also use that same index() calculation on the filter shelve to show, for example, the last 20 transactions. Format the rest of the columns, and look at the result. Almost there, just need to add the ‘Debit’ and ‘Credit’ images to the view. Add ‘D/C’ to shapes, assign the correct shapes, and the transactions list is (almost) identical to the one on the website. To show total balance, add a new worksheet with only the amount on there. Make sure you use the calculated one because else, there will be a really high balance. Filter on the bank account and, again, format it. Done and ready to put the dashboard together. Time to think about the end result. The base layout of the dashboard will probably look something like this. Now let’s put it all together, and re-create the bank statement. Use layout containers, they make building Tableau dashboards a lot easier. Show the title, change if necessary, and format. 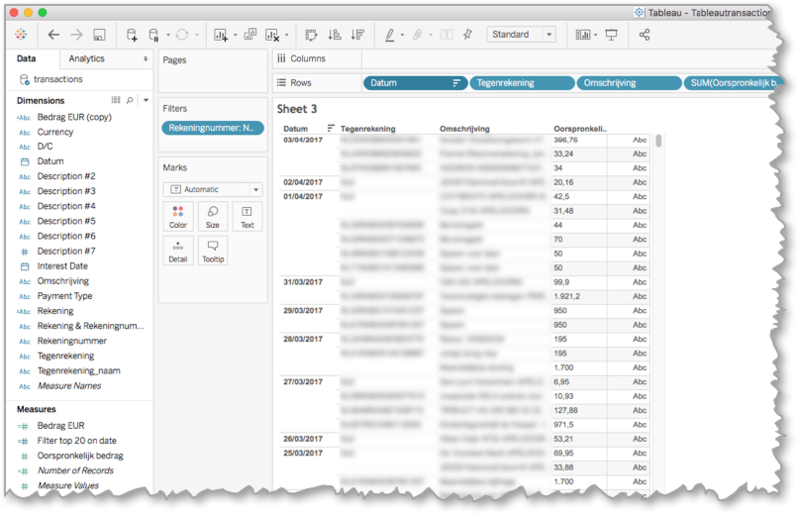 Add the total balance view, and show the account filter on the dashboard (make sure to set it to filter all sheets), and format. Add transaction sheet, and done! The final result in Tableau looks like this. 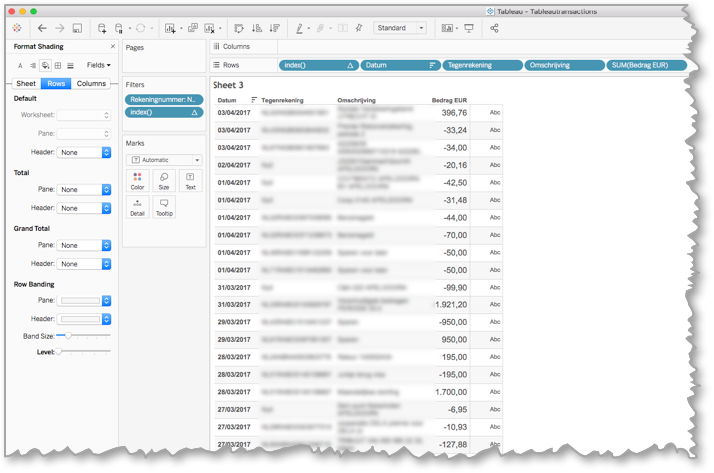 So, can you use Tableau for your Bank statements? My verdict: YES!